Save your valuable time. Just click and verify! When you need contact information to verify a healthcare practitioner’s credentials, this resource is the quickest way to find it. 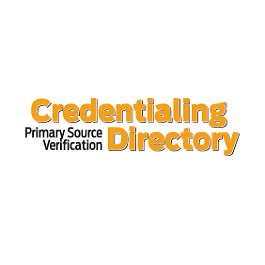 The Credentialing Primary Source Verification Directory provides the direct contact information and primary source verification request procedures for more than 5,300 organizations. You’ll find applicable charges, preferred contact methods, release form and signature requirements.